Colour is an integral component to good web design and should be thought about carefully. It goes without saying that brand recognition and colour go hand in hand - and the choices you make can impact how potential customers view your business. Like all other components in web design, colour is a tool in the designer's toolbox that can make or break a website. In fact, it is one of the most influential tools - followed by shapes, symbols and then words. Colour can be used to attract attention, convey meaning and enhance the appeal of your site. Yet it's important to know the meaning behind colour symbolism and people's interpretation of colour meaning. Understanding the psychology of colour; the subconscious and subliminal effect that a colour can have on an emotional state will help capture the attention of the website viewer and potential customer, and add meaning, clarity and power to your web design. Colour design is subjective and what evokes an emotional response in one person may vary in another. Personal preference, cultural background and trend all play a part. Highly saturated colours are considered more dynamic and demand attention. However too many highly saturated colours can fatigue and over power a website design. Desaturated (bright) colours lend themselves to performance and efficiency, they can be perceived as friendly and professional. Desaturated (dark) colours can be viewed as serious and professional. Below is a very general guide to understanding the psychological meanings of colour choices for website design. •	Gold can appear as a dirty yellow which is not positive for any business. Adjust gold on your website to a golden yellow and read the meaning of the colour yellow to see if it delivers the message you want to send. There is no doubt that colour generates an emotional response from viewers and that colour meanings will vary from culture to culture. 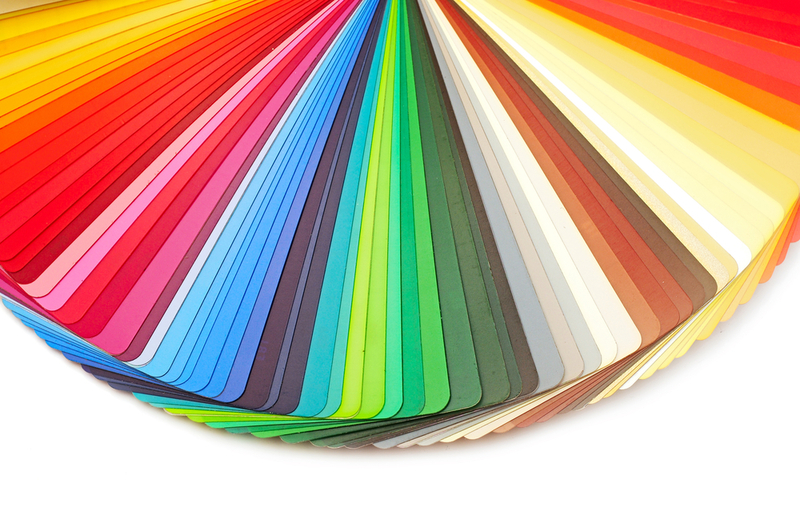 These responses to colour can impact on your brand and target audience. If you think of the big corporations and the colours they have chosen, you can see a correlation with the accepted wisdom of colour psychology. Fast food chain MacDonald's uses red and yellow because these colours are shown to increase appetite and impulsiveness. Whereas IBM uses blue to associate feelings of trust and stability with their brand. You need to consider colour schemes in web design that will enhance and promote your brand and business. A monochromatic colour scheme can look clean and elegant and is effective at establishing an overall mood. It is easy on the eyes and be quite soothing to look at. This is especially true when using blue and green. Monochromatic colour schemes tend to be quite harmonious and soothing. The downside is they can sometimes look bland so mixing it up with white or black will help this. A complementary colour scheme will look best when a warm colour is used against a cool colour. This can create a high level of contrast and a dramatic feel. Complimentary colours can be eye-catching and vibrant. However you don't want them to be too vibrant and jarring to the eye. You should avoid contrasting colours as they are typically bad for text. Analogous colour schemes are similar to monochromatic colour schemes. You typically want to choose one colour to dominate (the middle colour), a second to support the main colour, and a third colour for accents. Make sure to have enough contrast. Use tones, shades, and tints to add interest. A triadic colour scheme offers a strong visual contrast while still retaining harmony and a richness of colour. They aren't as jarring as complimentary colours. Use one colour as a dominant colour and another two colours to accent your palette. The internet is primarily a visual medium and colour is the easiest and most advantageous way to get your message across to your viewers. However it is important to limit your colours in the same way you limit your fonts. You want to offer contrast but not too much to lack similarity. 5 colours is the absolute maximum recommended on a web design. We love working with colour and know the importance of colour when you are establishing a business profile. Email or call today and see how Central Coast Web Design can help create a website that will shine online!